Secrecy is the enemy of good government. Fortunately, here in Colorado, we have developed a strong tradition of transparency and open government so that citizens can see how their tax dollars are being used. In the early 1970s, over the objections of many in government, we passed laws to make government records open for public review and required meetings to be open for all to see under the Open Meetings Law, which is part of the Colorado Sunshine Law. We also passed bills in recent years that provide greater transparency and accountability in state government by highlighting state spending and making that information available for public praise or scrutiny. One transparency issue, however, that has been killed year after year in the Colorado legislature would have mandated open meetings between school boards and teachers unions during the collective bargaining process. With few district exceptions, the majority of negotiations are held in secret, behind closed doors. What's not so secret is that the teachers unions helped kill these bills in the legislature. Unfortunately, there seems to be an inherent fear of transparency by those on whom the light will shine. 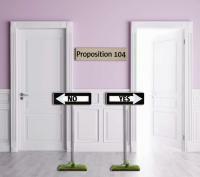 The transparency that Proposition 104 provides for is not complicated. It simply requires that the negotiations between teachers union representatives and school boards/school administrations be open for anyone to attend and observe. The single most important task of an elected school board is negotiating the collective bargaining agreement with teachers union representatives. That's because these agreements negotiate the spending of 85 percent of a school district's budget. That budget comes from your tax dollars. These negotiations should be held in open meetings because they will not only determine how taxpayers' monies will spent, but also how our children will be taught and how our teachers will be treated. Doesn't it seem fair that these negotiations should be held in the open, allowing anyone to attend? Certainly, a higher level of scrutiny goes along with that, but that kind of oversight and accountability seems prudent since taxpayer dollars are involved. Consider this: Wouldn't it be unthinkable to let the state legislature debate and pass the majority of the state's operating budget in a closed backroom where no reporters or citizens could observe the process? Yet when it comes to spending the majority of a school district's budget, that's exactly what happens in many school districts around our state. That's because, sadly, school boards and union representatives have chosen to hold this key process in closed-door back rooms. Prop 104 merely amends Colorado's Open Meetings Law, saying that meetings between boards of education or school district administration, along with union representatives at which a collective bargaining agreement is discussed, must be open to the public. That's all. Open-meetings procedures are important because they allow all stakeholders to keep an eye on the negotiating table. For instance, teachers can observe how both sides represent their interests regarding pay and working conditions. Parents can see directly how the policies affecting their children's teachers and classroom policies are discussed and decided. And the public can observe how decisions regarding how 85 percent of a school district's budget, which comes from taxpayers, are made. This isn't a new idea. Eleven other states have similar laws that require open negotiations. A handful of school districts in Colorado have already chosen to provide this openness without any problems. But all school districts should be required to make these meetings open to the public. Transparency is more essential than secrecy. Shining the light on government actions is crucial for democracy to work. Taxpayers, teachers and, most important, our children deserve clean, transparent government. Our kids deserve a little sunshine. Let's open the door with Prop 104. B.J. Nikkel served in the Colorado House of Representatives from 2009 to 2013. She was Republican House majority whip from 2011 to 2013 and passed two of three attempted state government transparency bills. 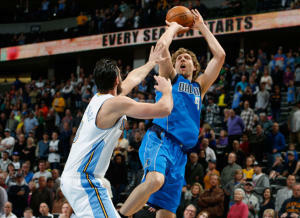 All of the extra time couldn't save the Nuggets from a heart-pounding 144-143 double-overtime loss at the Pepsi Center, and it was a former friend who inflicted the final blow. 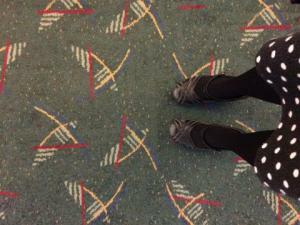 SALEM, Ore. (AP) — Visitors and Oregon locals lined up inside Portland International Airport to have their photos taken with an odd celebrity — a piece of nearly 30-year-old carpet. CWA panel ponders ultimate question: Are we alone in the universe?